OK, I admit it. I’m enough of a nerd that I didn’t know that FIFRA was the acronym for Federación Internacional de Fútbol Rápido. I just knew it as the Federal Insecticide, Fungicide and Rodenticide Act, the law that regulates pesticides in the U.S.
I’ve been gearing up to write about a 2013 study measuring pesticide residues in French wines for a while now. Part of the issue is that while the data are straightforward — they’re just measurements — the interpretation isn’t necessarily. And the main reason for this is what’s being studied: pesticides. While I spent 15 years working on toxic chemicals issues before launching the wine business, I’m not a pesticide expert. U.S. Pesticide law and the rules that govern their use are handled by three different government agencies: EPA, FDA, and the Department of Agriculture. When you’re looking at pesticides in wine, a fourth agency is also involved. TTB, the Alcohol and Tobacco Tax and Trade Bureau, which was spun off from the Department of Alcohol, Tobacco, and Firearms after September 11th. So there was a learning curve for me. It made me think that before I start looking at pesticides in wine in any substantive way, I should probably talk a little about pesticides in general. The second issue is the regulatory framework. Obviously, the more types of substances under regulation, the more complicated regulation is going to be. The U.S. law governing pesticides is the Federal Insecticide, Fungicide, and Rodenticide Act, or FIFRA. FIFRA came into law in 1947, replacing an earlier law that dealt mostly with labeling issues. The law got two major overhauls: one in 1972, shortly after EPA was created under President Nixon. The second came with the 1996 Food Quality Protection Act, which I’ll talk more about later. The Food, Drug, and Cosmetic Act (FDCA), overseen by FDA, authorizes EPA to set tolerances — or acceptable concentration levels — of pesticides in raw food products. FIFRA sets out the process for doing this, and also paves the way for EPA to register new pesticides for use. Registration limits how, where, and under what conditions a pesticide can be used. FIFRA requires re-registration of pesticides, ideally at minimum every 15 years, which is a chance for EPA to review any data on effectiveness or impacts on human health and the environment. FIFRA requires manufactures and users of pesticides to report all of these data to EPA before registration and then as they become available, and these data can also trigger review prior to re-registration. Pesticides that were already in use before 1984 also have to be re-registered under FIFRA. Crop dusting is a quick way to apply chemicals to crops, but I hope it’s a calm day. Like all U.S. environmental laws, FIFRA is administered primarily by the individual states. Pesticide users who grow food for public consumption or who may be using pesticides near farms have to register with their states, generally through the agriculture departments. This also applies for most uses of pesticides in public places. The states are largely responsible for inspection and enforcement. And FIFRA represents a floor for regulation — any state can have pesticide laws and regulations that are more stringent than FIFRA, but they can’t be less stringent. Wine, as regulated by TTB, relies on FDCA and FIFRA. EPA sets tolerances. While EPA hasn’t set specific tolerances for pesticides in wine, the agency has set tolerances for grapes. TTB uses grape tolerances as the maximum allowable levels in wine. TTB currently screens wine for 155 pesticides under a program in place since 1999. The largest single screening program is the Alcohol Beverage Sampling Program. In 2014, TTB examined 105 different wines under this program and found none that contained pesticide residues above EPA levels, and no unauthorized pesticides were found in those wines. TTB also tests wine for pesticides outside the sampling program for various reasons. These include complaints from consumers and competitors or various news reports of pesticide contamination, routine screening of wines from countries with known pesticide contamination problems, and analyses of wine samples sent to TTB for any other regulatory reason. The agency also has an import safety program, where imported wines purchased in the marketplace are screened. All of this sounds systematic, if extremely cumbersome. At least it starts with the premise that pesticide manufacturers have to generate data to show that the products work and that, if used under proper circumstances, they aren’t harmful to human health or the environment. I spent a lot of years working on non-pesticide toxic chemicals, and the premise there is that if there are no data, good or bad, there’s no harm. Consequently, we know a lot more about pesticides than we do about many industrial chemicals, particularly those chemicals already in use before 1976. So far, so good. But you know there’s more. The third and most contentious issue — and rightly so — is what constitutes harm. Most pesticides are designed to kill something or other, which implies harm from the get-go. 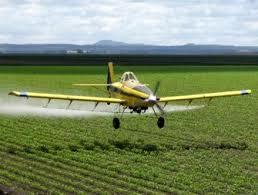 Pesticide use, like most things, is subject to a cost/benefit analysis. I don’t think that’s a wrong approach as long as we really understand what the risks are. Unfortunately, I’m not entirely sure that we do at this point. It all goes back to setting the tolerances. As I mentioned before, the Food Quality Protection Act (FQPA) amended FIFRA in a big way, changing the way tolerances are supposed to be set by EPA. Most pesticide tolerances would likely go down If FQPA were perfectly executed, because the law requires consideration of a bunch of new things. Like sources of exposure from multiple foods and from sources other than food, different tolerances for vulnerable populations, interactions between different chemicals, and health effects not previously known or considered. I don’t know what’s being sprayed on the grapevines here, but some producers I’ve met use an apparatus like this for applying fungicide, which they may apply after a period of wet weather. As you can imagine, though, the process of implementing FQPA has been anything but smooth. Nearly 20 years out now, I believe that the true impact of FQPA is still yet to come. So for the most part, we’re looking at the same or only moderately revised tolerances that were in place decades ago. This, despite our knowing that some chemicals have reproductive effects at extremely small exposure doses, including effects that cause reproductive harm in the offspring of those originally exposed. And despite the fact that some chemicals persist in the environment without breaking down, potentially increasing exposure as well. It’s not the first time that regulation lags behind science (think climate change, for example). I don’t blame EPA for this. The agency (wisely) has tried to include all stakeholders in the discussion for setting up the regulations to implement FQPA. You can imagine what that’s like. As someone who participated in parts of it, I can tell you it’s not easy. Still, I’m going to go out on a limb here and say that organic farming could be the thing that leads us to what FQPA was looking for. Organic food avoids industrial pesticides, so it might seem counter-intuitive. But we’re nowhere near a world that has the availability we’d need. In general, conventionally-produced food, including some pesticide use, has greater yields and costs less to produce. Understanding pesticides better and using them in a more protective way for the foreseeable future in farming could be the key to achieving goals of feeding more people better food at prices they can afford sooner rather than later. Yeah, I know you’re not used to pollyanna talk from me. But I’m just softening you up for my next post on pesticides in wine! If you read all of this, my thanks! At this point you’ll need an easy meal. One of my favorite books for easy but excellent recipes is Lucinda Scala Quinn’s Mad Hungry Cravings. The food is always good, and she has simplified more exotic dishes to have as few ingredients as possible, but still taste great. I’ve made her Chicken Tikka Masala recipe for weeknight meals and dinners for company. Typically I’ll serve it with rice and a vegetable. But it occurred to me that because it’s pretty saucy, I could add other ingredients and make it into a stew that wouldn’t need rice. So in went potatoes, tofu, cauliflower, and peas. Then, a few other tweaks, and presto — a one-dish meal. Serve this Tikka Masala Stew with the Notes Frivoles rosé from Domaine Sainte-Cécile du Parc ($14). The wine is made with organic grapes, and we’ll have that on the label with the next vintage. Plus it’s pink. You know, the color of some of those flowers that are supposed to be coming up now. Since they’re not here yet, I’ll take the pink any way I can! Heat 2 tablespoons of oil in a large Dutch oven. Salt and pepper the chicken pieces, and then brown them quickly on both sides, about 3-4 minutes each side. You’ll probably have to do this in two batches. Remove the chicken pieces to a plate as they’ve browned. Add a little more oil to the skillet, if necessary. You’ll want between 1 and 2 tablespoons — then add the onion, ginger, and garlic. Cut a slit lengthwise in the serrano pepper and throw it in. Sauté for about 5 minutes, until the onion is soft. Add the cumin, cayenne, garam masala, paprika, cinnamon, and a teaspoon of salt. Cook for about a minute, until everything smells beautiful. Add the tomatoes and potatoes, and scrape the bottom of the pan to incorporate any browned, spicy bits. Then put the chicken pieces back in the pot with any accumulated juices. Bring to a boil over high heat, then reduce the heat to low. Cover the pot and cook for 20 minutes, stirring a few times. When you stir, check to see that the mixture isn’t too dry, and add some water if you need it. Then add the cauliflower and tofu. Bring the pot back to the boil, then cover and simmer 10 more minutes. Stir in the peas and cream and let it all sit for a couple of minutes, then taste for salt and pepper. Serve hot. This entry was posted in Pesticides in food, Pesticides in Wine and tagged buy wine online dc, Domaine Sainte Cecile du Parc, FIFRA, Food Quality Protection Act, Organic food, organic wine, Pesticides, pesticides in food, Pesticides in Wine, Tikka Masala Stew, Tom Natan, TTB Beverage Survey, wine delivery washington dc. Bookmark the permalink.